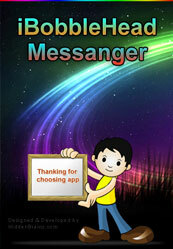 This iPhone application which enables the user to select or capture the picture of person. User can customize the picture appearance to set as bobble. 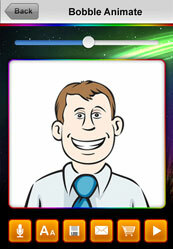 User can play the bobble and send it through this iPhone Application. User can choose a picture for animation from the iPhone gallery and then the customized picture will be shown on the iPhone screen. 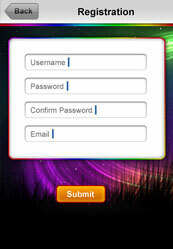 Or the application will enable the user can take a picture of a person by enabling the iPhone Camera. 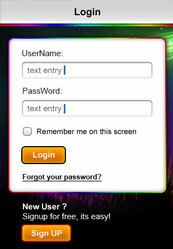 The user can move on to customize the picture by viw\ewing and editing the captured picture in oval frame on the iPhone screen. 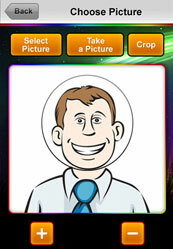 Users can add to the fun by animating the bobble head and placing it on a body.